“Innovative Weaving – A Study Guide for Study Groups”, The Importance of Craftsmanship, Mickey Stam, (February) 2018, 96. “HGA’s Convergence 2014 Providence All That Jazz Fashion Show”, Shuttle Spindle & Dyepot, XLV:4 (Fall) 2014, 36-45. “All That Jazz: Wearable Art Fashion Show & Exhibit 2014” Inset Photocaption, Shuttle Spindle & Dyepot, XLV:3 (Summer) 2014, 3. “Kasuri Ikat Hand Towels: Challenges and Solutions in the Production Process”, Complex Weavers, 104 (February) 2014, 31-34. “Wakamono Taikai Ryukyu Cultural Workshops, Los Angeles, California USA”, Ryukyu Shimpo, (July 30) 2013, 29. “Speakers and Presenters” and “Ryukyu Textiles Workshop”, Second World Youth Uchinanchu Festival, Los Angeles, California USA Program Brochure, (July) 2013. 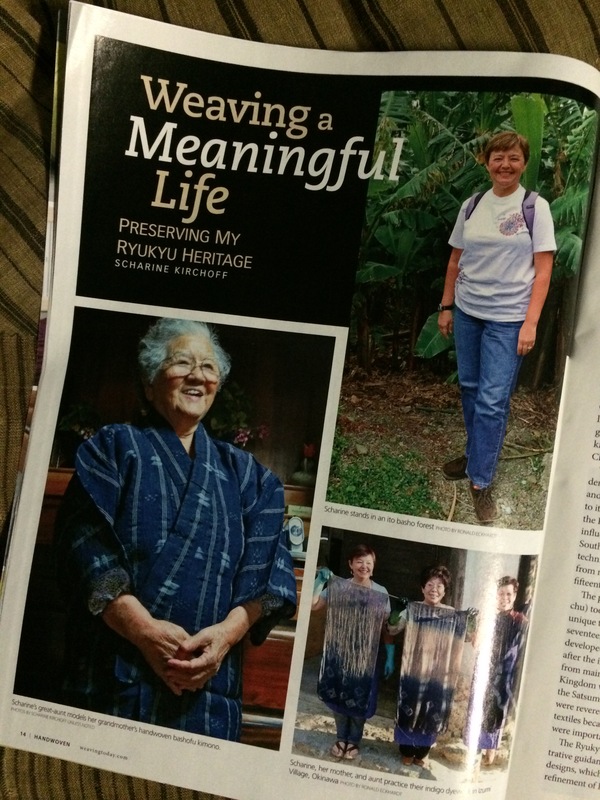 “Weaving a Meaningful Life”, Handwoven , XXXIV:2 (March/April) 2013, 14-16. “Focus on Fiber” Exhibition Poster, 18 Hands Gallery, Houston, Texas USA (September 22-30) 2012. “The Art of Fiber” Exhibition Poster, Workhouse Arts Center, Lorton, Virginia USA (November 23-December 11) 2011.